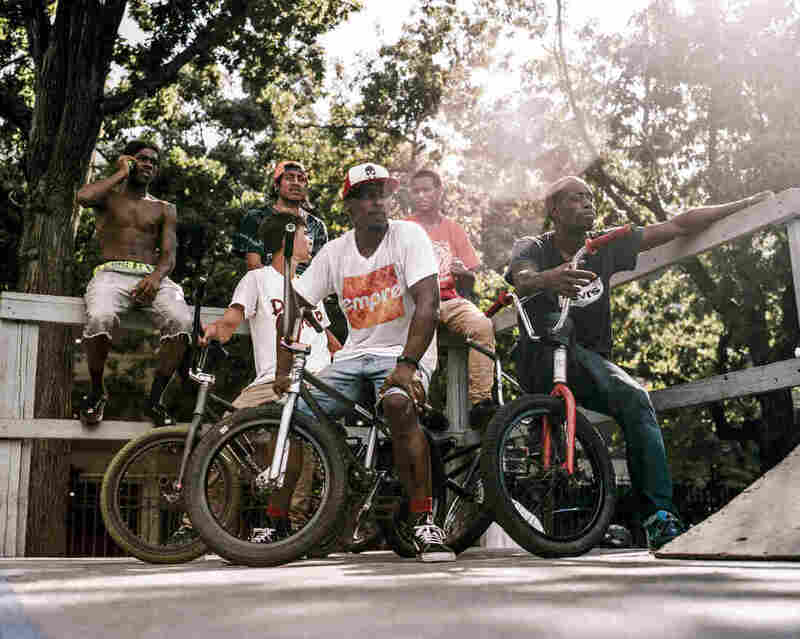 BMX In The Bronx : The Picture Show Photographer Elias Williams documents the brotherhood that has developed at Mullaly Bikepark over 30 years. At Mullaly Bikepark in the South Bronx, cheers compete with the clicking of wheels and the thump of tires. Wearing T-shirts and hoodies, bikers pedal fast, then take off from ramps, soaring into the air. Whether they nail the landing or wipe out, the crowd continues to cheer. "Being here, it's like hearing joy," says photographer Elias Williams, who has been documenting the park near his home for the past few years. "This place is so much more than the tricks." Williams photographed the bar stands, backflips and grinds, but the images really celebrate 30 years of BMX culture and camaraderie. 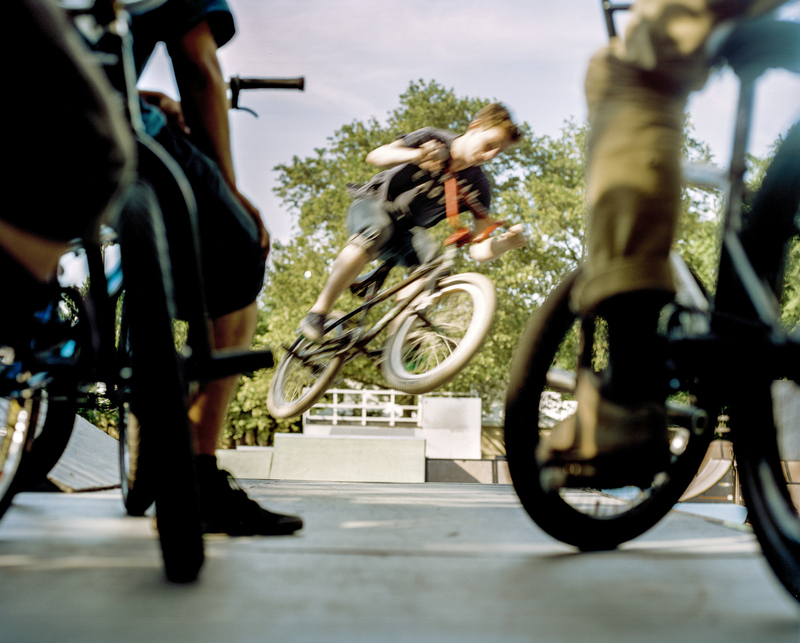 Created by enterprising kids who started racing their bikes on dirt tracks like the motocross stars in the 1970s, BMX didn't need rules or referees. Williams says the dedication of the bikers inspired him to keep coming back. Their mantra is "DIY PMA": Do It Yourself Positive Mental Attitude. Riders resting on the hip ramp, 2016. 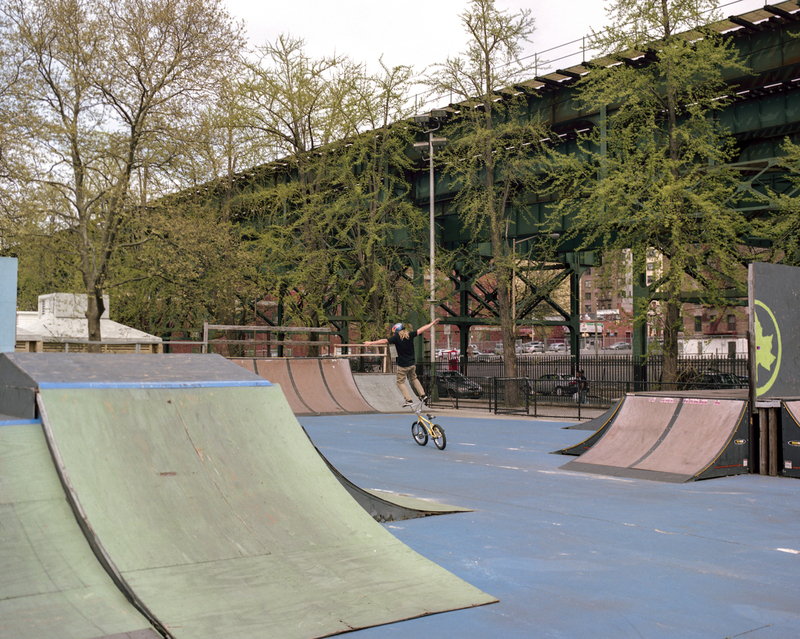 It's hard for BMX riders in New York to find a park that welcomes them. 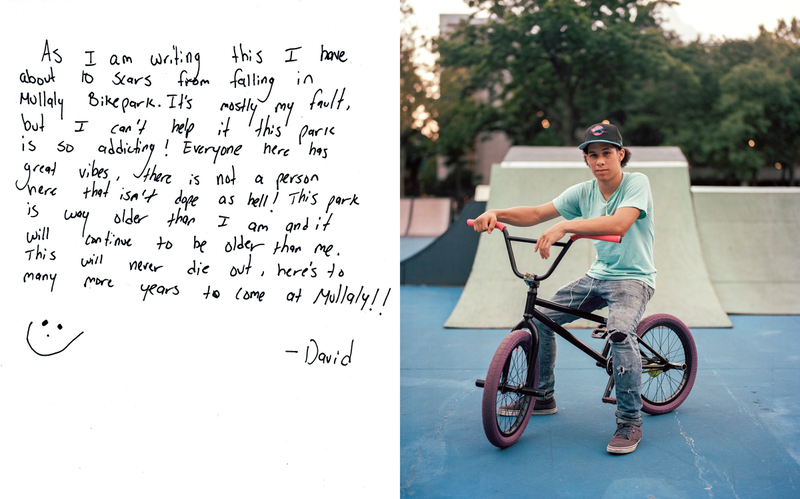 In 1988, Victor Ortiz and fellow members of a scrappy BMX crew called the Rad Dogs turned an abandoned ice skating rink into Mullaly, New York City's first bike park. A few years later, biking buddies Lou Perez and Robert Ramos of another crew, Underground Never Dies, organized a group of volunteers to support the park. 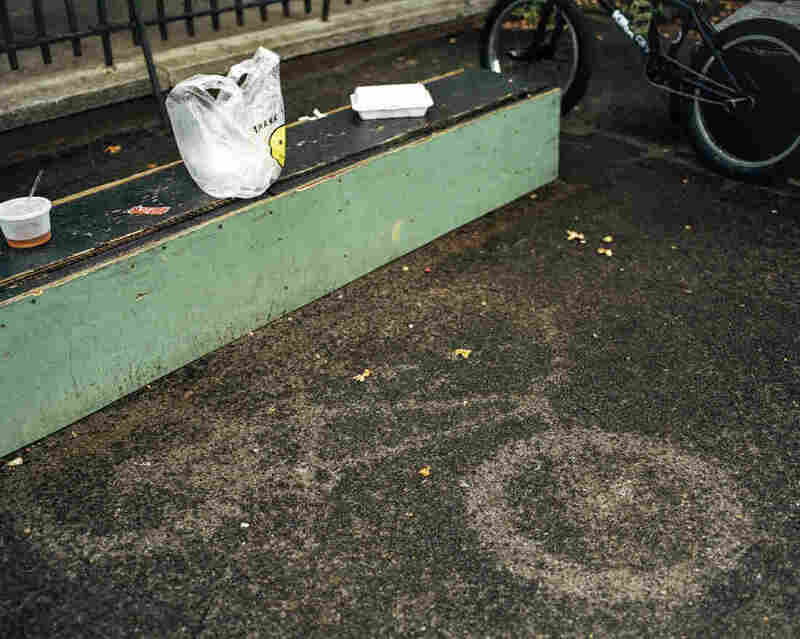 "Things were kind of falling apart," says Ramos, who now works for the Parks Department. "We were the next generation coming to fix it so we could have a place to ride." They doubled the amount of ramps right away, worked on bikes and maintained the space. When money gets tight, they've always found a way to find more. Riders repairing their bikes at the garage, 2016. Courtney, 2016, and Casey, 2017. 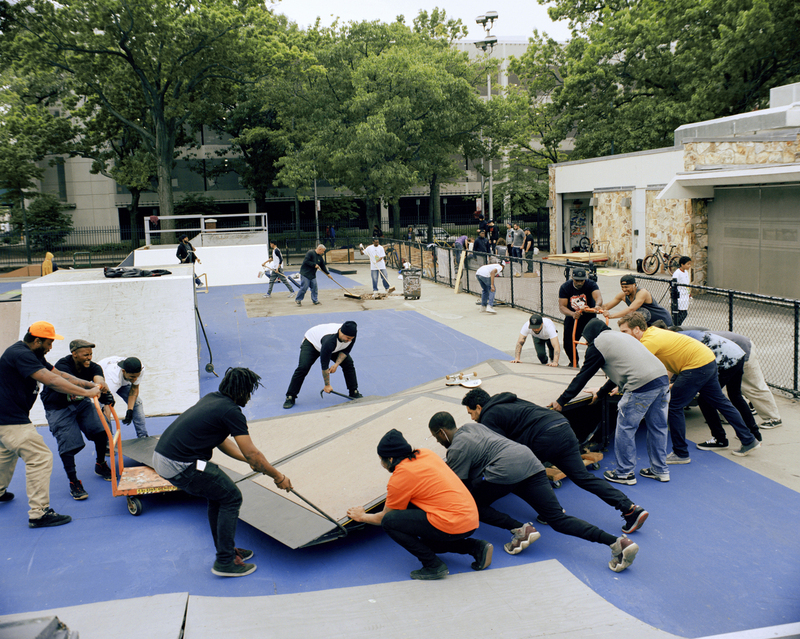 Everyone pitches in, helping Mullaly become the "mecca of East Coast DIY-style BMX." A diverse fraternity of different races and ages ranging from 5 to 50 years old loves the park, coming to do more than just ride. The older guys often see themselves as mentors. "I'm one of the OGs, so I have a responsibility to carry myself well," says Tyrone "Skillz" Means, who has been riding there since 1992. "When you're coming out of the 'hood, you need something." 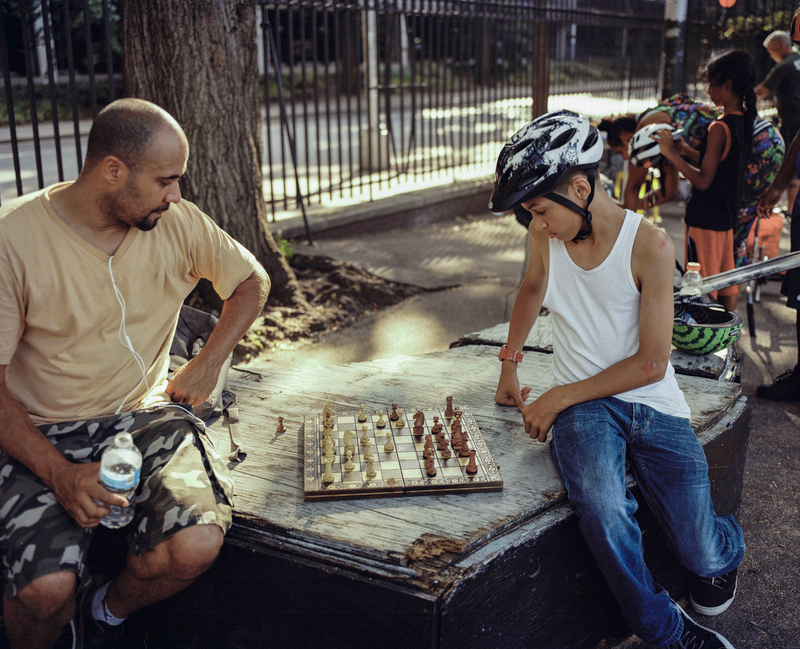 Max playing chess with a young rider, 2016. Underground Never Dies member Skillz; Vincent; Daren, 2016. Professional BMX rider Mike "Hucker" Clark bar riding, 2017. Williams made portraits of the riders not only posing proudly with their bikes but also playing catch, chess and even music together. They pull out electric guitars and plug their phones into a green boombox. Metallica is a favorite. "With Mullaly, the brotherhood here, the vibe is just so strong," Means says. "Even when people come here from different countries, states or boroughs, the first thing they say is the vibe is just so dope here." Brendan Vail, 2016, is a member of the Underground Never Dies BMX crew and one of the riders responsible for developing the Mullaly Bikepark nonprofit to secure funding for plywood, tools, events and educational programs. Lou Perez and Robert Ramos, 2016. 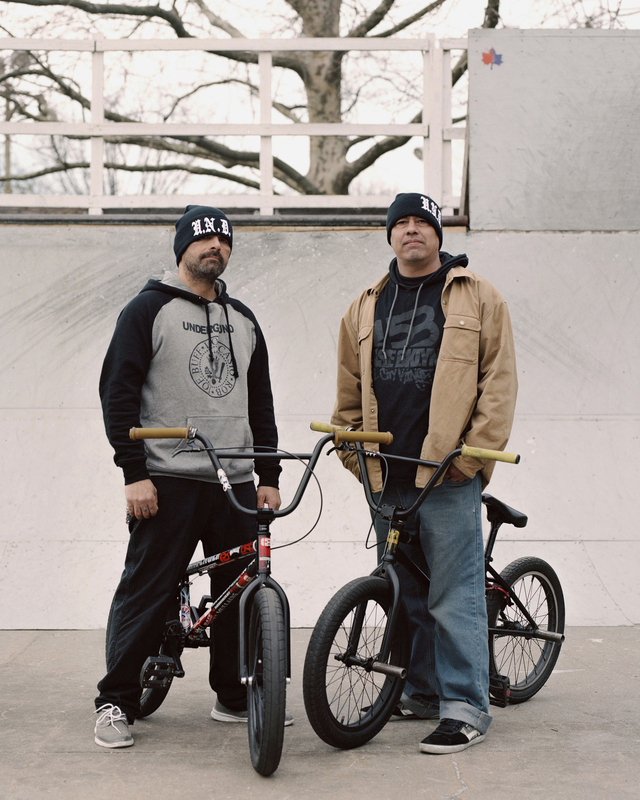 They are two of the four founding members of the Underground Never Dies BMX crew at Mullaly Bikepark. The two, who have ridden here since 1988, oversee the building and repair of the plywood ramps in the park. A BMX rider mid-air, 2017. 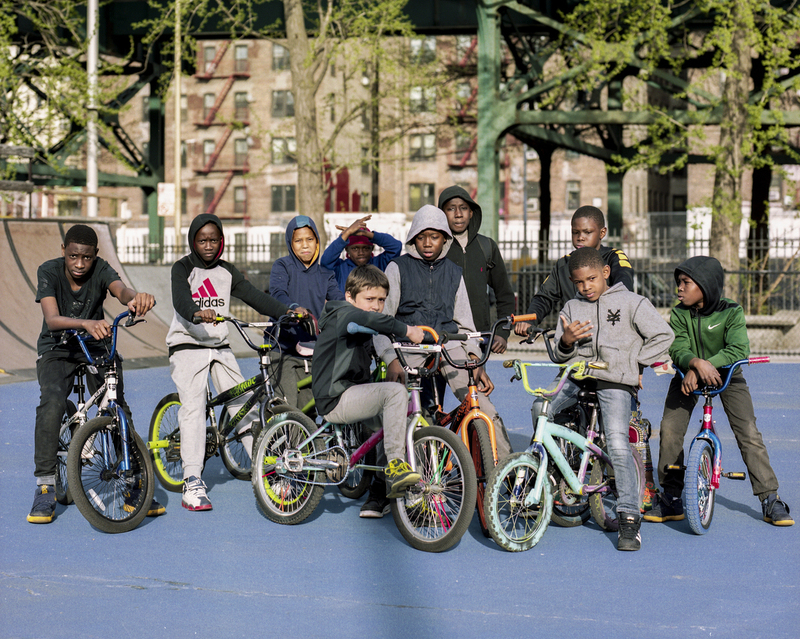 Kids before a group ride, 2017. Williams thinks of it more like a community center than a park. 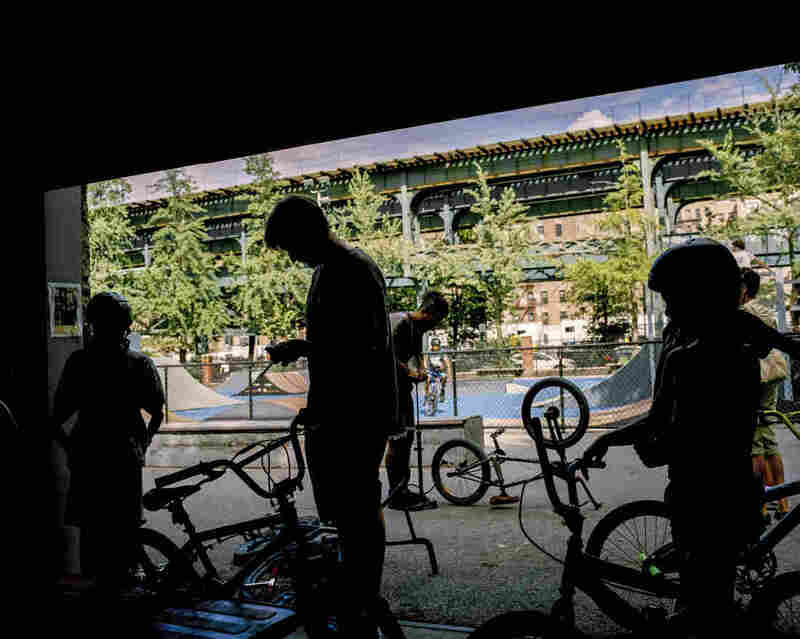 It's rare for BMX riders to find a park in New York that welcomes them. 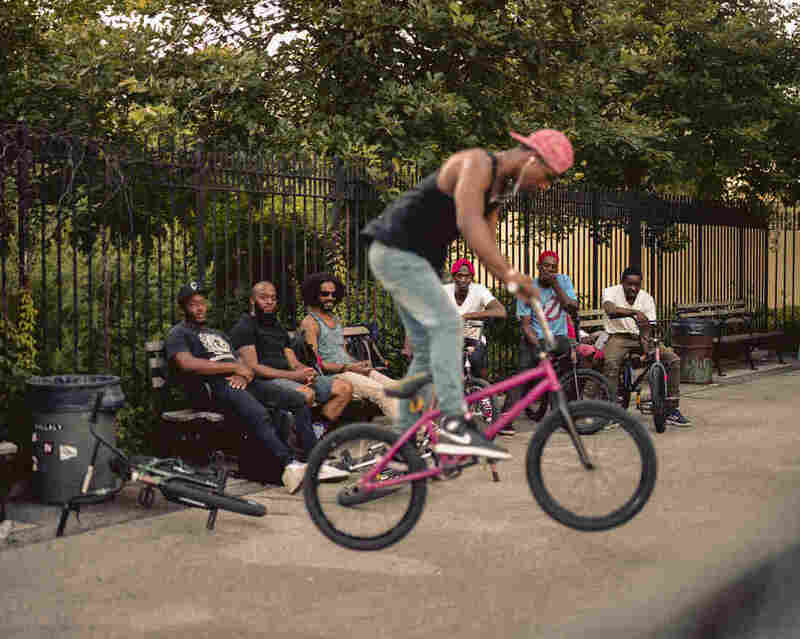 "They're not the characters you see in videos jumping on cars, getting in all sorts of trouble on the streets," says Williams, who often works on projects focusing on underrepresented communities in his own backyard like the St. Albans neighborhood of Queens, where he grew up, after the foreclosure crisis devastated much of the black and middle-class community there. 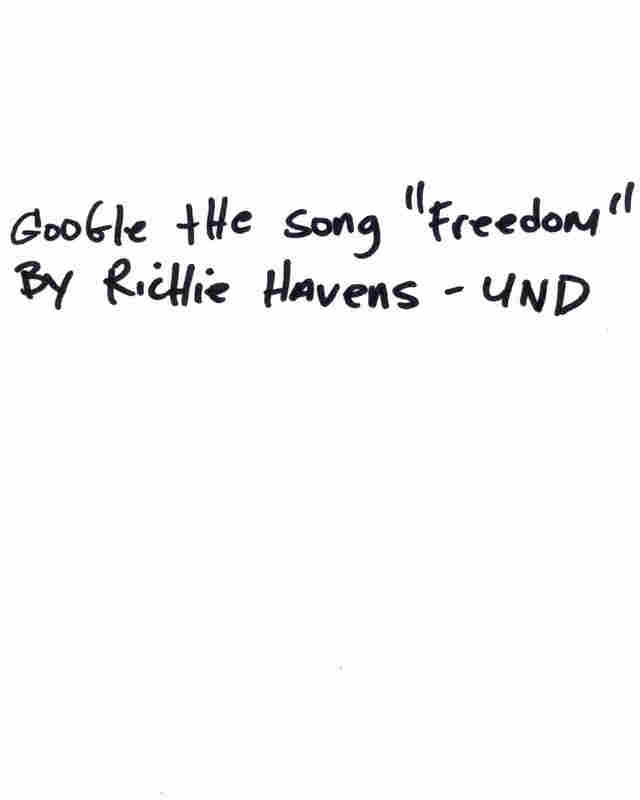 "I don't see the need in traveling far to contribute to conversations I find important," he says. Mullaly Bikepark is a home, and seeing it reveals what the men there are really about, what BMX is really about. Nasquan waiting to jump a ramp, 2016. 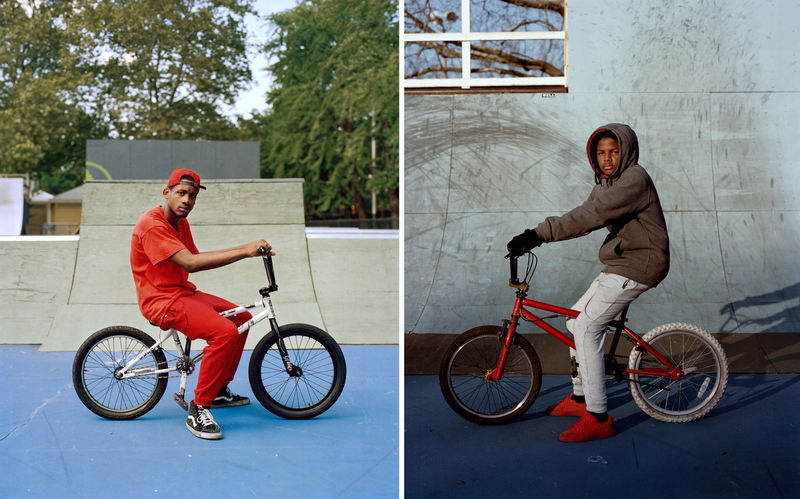 Elias Williams is a portrait and fine art documentary photographer based in New York. His Instagram account is @elias.williams.